COMPASSIONATE CLIMATE ACTION: 181 Days Left - Fossil Fuels Are Like Drugs: Just Say No! 181 Days Left - Fossil Fuels Are Like Drugs: Just Say No! Our friend and fellow climate change activist (and animal rights activist extraordinaire) Anthony Marr wrote today about the futility of the Bonn climate talks. In a 6 June 2009 article by William Marsden for Canwest News Service entitled "Crunch Time for Climate Talks," United Nations Framework Convention on Climate Change (UNFCCC) executive secretary, Yvo de Boer, says that in the six months left, negotiators will try "to reach an agreement on what might well be one of the most complicated international treaties ever negotiated." Well, Mr. de Boer, I know how to make it uncomplicated. Extremely uncomplicated. Just say no. Just say zero. Zero carbon emissions. Zero fossil fuel use. That's our goal. Our target should not be 350 parts per million, nor (a catastrophic) 1.5 degrees of temperature increase, nor 80% greenhouse gas cuts by 2050. Our target needs to be ZERO. As quickly as possible. 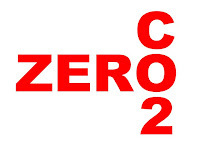 Zero is a good, clear number that creates a level playing field. Every nation in the world, every corporation, every human being can start striving now to reach zero carbon emissions as soon as possible. Sheesh, considering that survival of the human species (and millions of other species) is at risk, you'd think governments everywhere would be tripping over themselves to be the fastest to cut their emissions. Sadly, as Anthony points out ("It is about time we realize that we can no longer rely on our 'leaders' to lead us to any promised land. If we do, we WILL be led into a hell on Earth.... It is up to us folks, who have any true love for our children, life on Earth and the planet itself"), these talks are simply a stalling tactic. Instead of racing each other to ZERO CARBON EMISSIONS, negotiators are looking for ways to put off making any cuts for as long as possible — thereby condemning us all. Please, when you have some time (49 minutes and 8 seconds of it), watch Anthony Marr's video, M-Bomb: Doomsday Machine. It will explain why there is no time for procrastination. There is barely enough time left to just say no.